Sikhism is a non-Semitic, Aryan, non-Vedic religion. 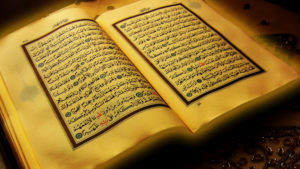 It is a religion that has the sixth largest following in the world. Some consider it as an offshoot of Hinduism. It was founded by Guru Nanak at the end of the 15th century. It originated in the area of Pakistan and North West India called Punjab, meaning the land of the five rivers. 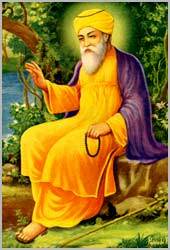 Guru Nanak was born in a Kshatriya (warrior caste) Hindu family but was very strongly influenced by Islam and Muslims. The word ‘Sikh’ is derived from the word sisya meaning disciple or follower. Sikhism is a religion of ten Gurus, the first Guru being Guru Nanak and the tenth and the last being Guru Gobind Singh. The sacred book of Sikhism is Sri Guru Granth also called Adi Granth Sahib. Kanga – comb; used to keep the hair clean. Kada – metal or steel bangle; for strength and self-restraint. Kirpan – dagger; for self-defence. Kaccha – special knee length underwear or under-drawer for agility.